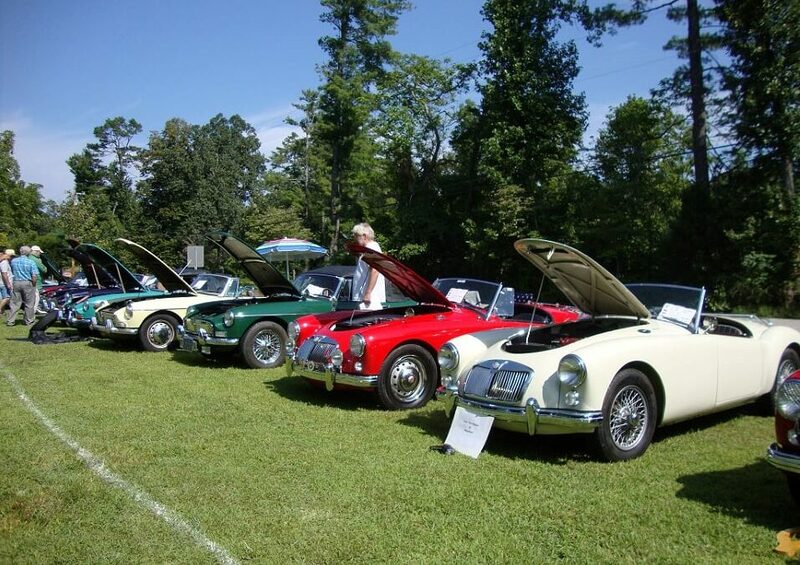 Rugby, Tenn. – Historic Rugby, a restored Victorian village, will host its eighth annual “The Return of the British” British Car Show on Saturday, August 25th, 9:00 a.m. to 3:00 p.m. (EDT). British cars and motorcycles of all descriptions will be on display including Jaguar, Austin-Healey, MG, plus other rare brands. Early registration of entrants is ongoing, and registration forms are available at www.pbcctn.org/Rugby.php. For other details, contact Charlie Bunnell at rugby@pbcctn.org or 931-210-3732 or 931-210-3742. Historic Rugby will offer guided tours of its extraordinary restored or recreated buildings showcasing the 1880’s British-American village. A ranger with the National Park Service’s Big South Fork National River and Recreation Area will lead a guided hike at 1:15 p.m. (EDT) to the nearby Gentlemen’s Swimming Hole through shady, cool woods and then return. Or hikers can continue on and see huge boulders and towering trees as you follow the river to the Meeting of the Waters where early Rugbeians loved to picnic and take photographs with the novelty of the portable camera. A complimentary exhibit of historic river photos is on display in Rugby’s ranger station, open 9 a.m. to 5 p.m. EDT each Saturday and Sunday through September. English and American cuisine are available at the Harrow Road Café, as well as from food vendors. Antiques, crafts, and souvenir items are featured in Rugby’s Commissary, as well as the Gallery at Rugby, the Spirit of Red Hill, and Missions Matter shops.